Clinic for Women and girls! All Ages! 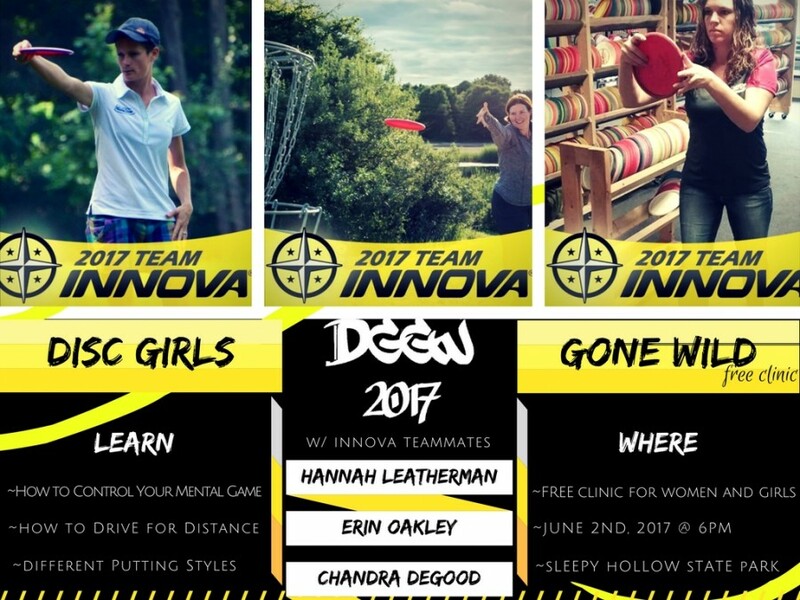 Come join us as Innova Teammates focus on 3 areas to help your game. 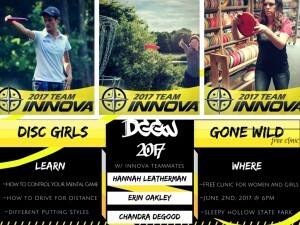 Hannah Leatherman, Erin Oakley and Chandra DeGood will show you how to get more distance, putting techniques and how to control your mental game on the course. Starts at 6pm at Sleepy Hollow State Park.